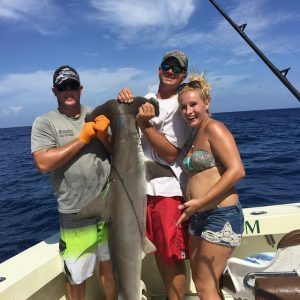 Voted Top Shark Fishing Charter by ReelReports.com 2013-2018 Disclaimer: 99% of the sharks we catch are tagged and released for research. We have a long standing relationship with NOAA Fisheries, whereby we notify them every shark we tag. In cases when we catch a Mako shark (highly edible) and our clients want to eat the fish, we will bring it back to the dock and provide our clients with the great catch. 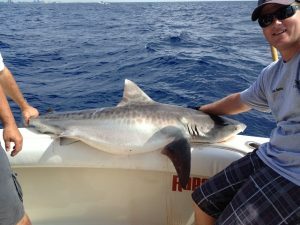 We also will have NOAA meet us at the dock to take tissue samples for more research and to protect sharks for the future. 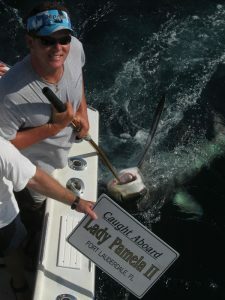 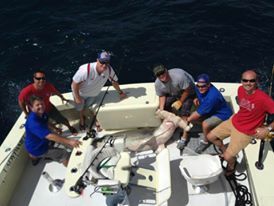 We tag more sharks than any other boat in the state as part of our conservation efforts. It is very rare that we keep a Shark. 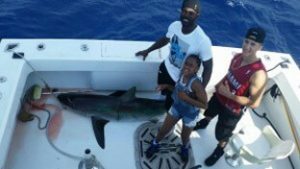 Now that you have the facts, here’s a bit about our awesome Shark charters: Sharks are one of the most prominent game fish in the waters of the world and Fort Lauderdale and Miami have some of the most productive shark fishing on the Southeast US coast. When it comes to targeting a large game fish, South Florida offers an impressive array of several Shark species: The infamous Hammerhead Shark, Thresher Shark, aggressive Bull Shark and Mako Shark take up residence in our waters for most of the year. 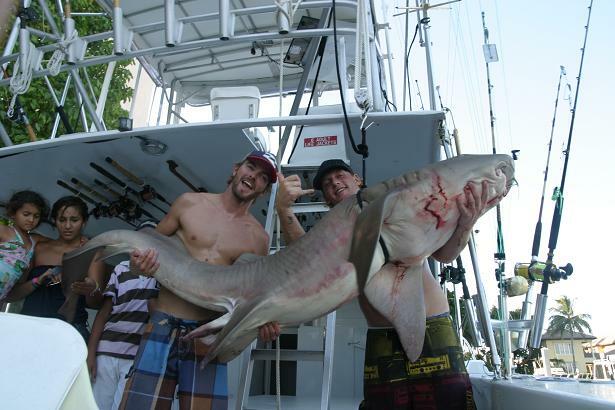 Millions of Sharks migrate through South Florida waters every year in search of food and to mate with others. 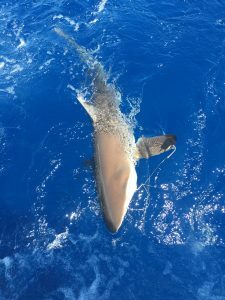 Sharks are truly a unique predator; they will search for their next meal throughout the entire water column. 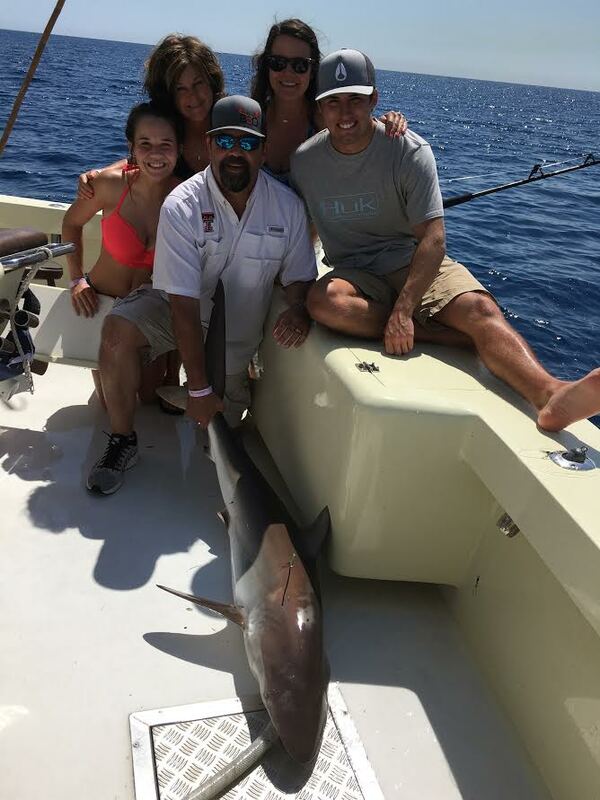 Here is a Mako Shark this family caught on Fathers Day! 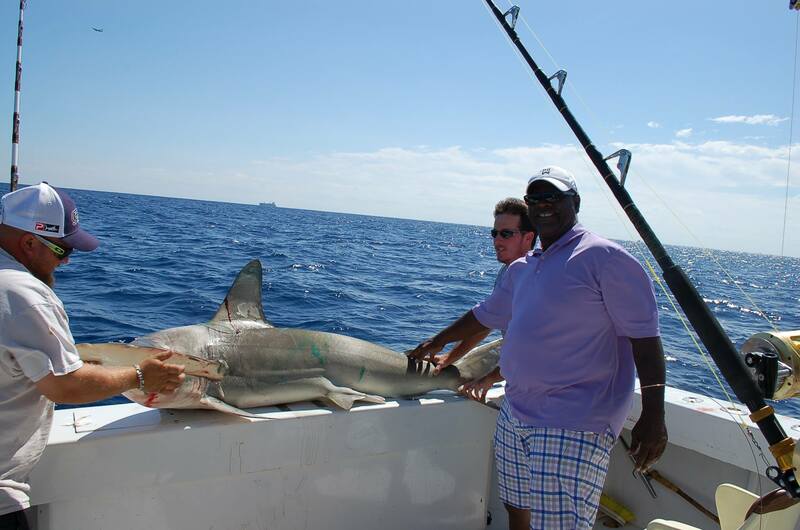 Sharks are known to inhabit our Fort Lauderdale and Miami reef lines, artificial reefs and shipwrecks. Our deepest natural reef is roughly one mile off shore and is home to an entire ecosystem of nutrients and baitfish, which forms an active food chain – and Sharks take their place at the very top of the Food Chain. 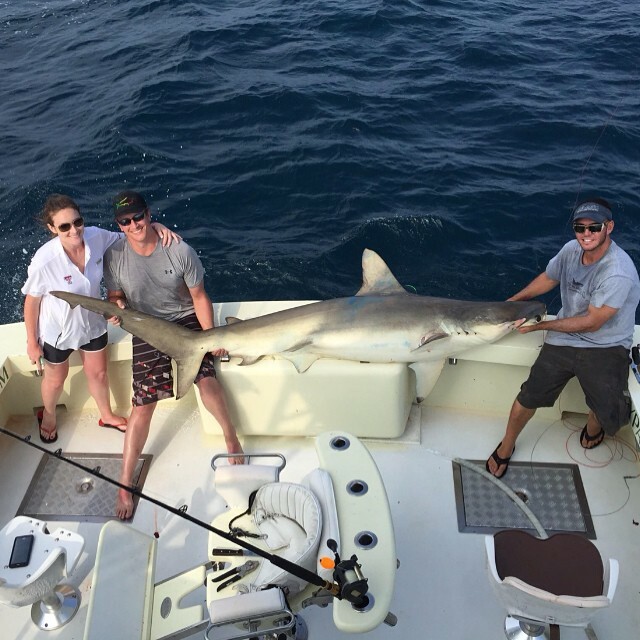 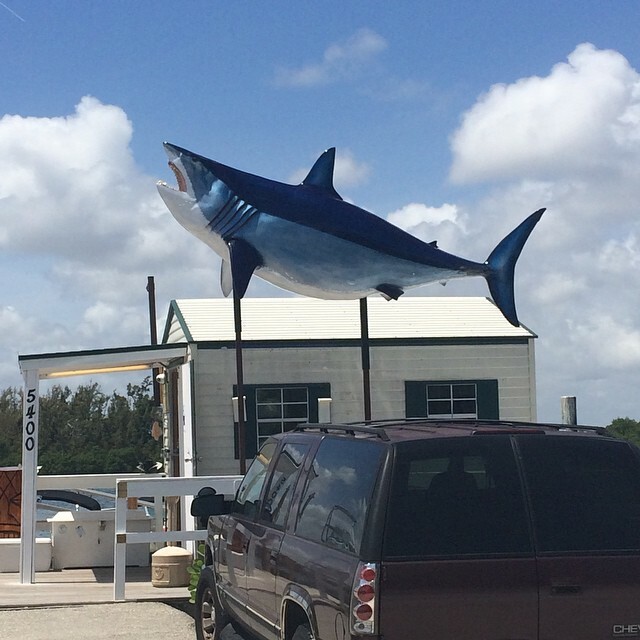 South Florida’s steady flow of warm water makes Fort Lauderdale and Miami a hot spot for Shark activity. Unlike Dolphin or Wahoo, people don’t generally care for the taste of shark. 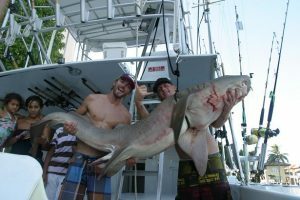 Shark meat isn’t a popular snack due to the fact that they urinate through their skin giving the meat an ammonia-like flavor and scent. 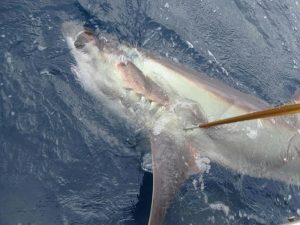 The roughly-textured skin of Sharks is similar to sandpaper. 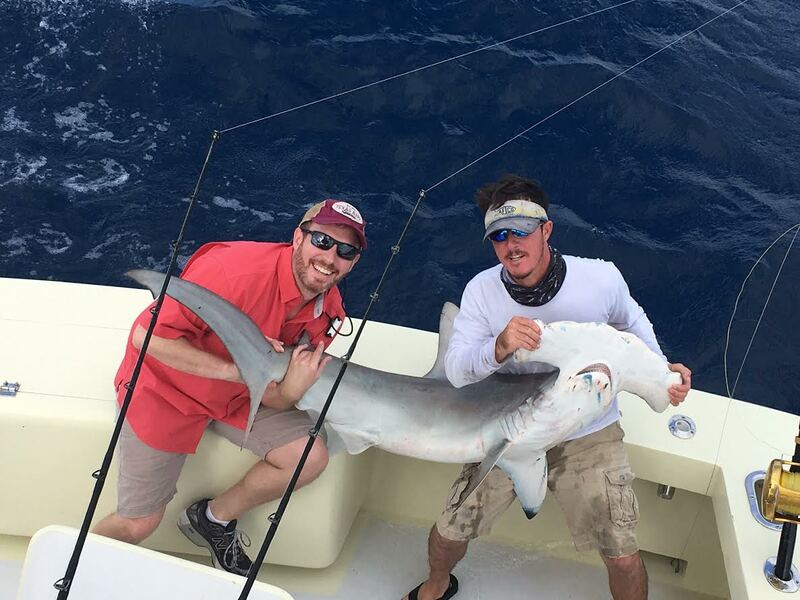 They aren’t too tasty but they’re beautiful fish and a blast to fight! 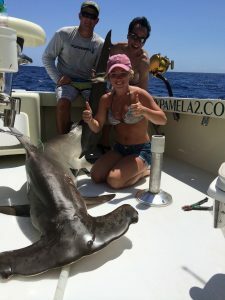 Every year, between the months of March and August, the big game Sharks take part in a massive migration northward along the South Florida coastline. 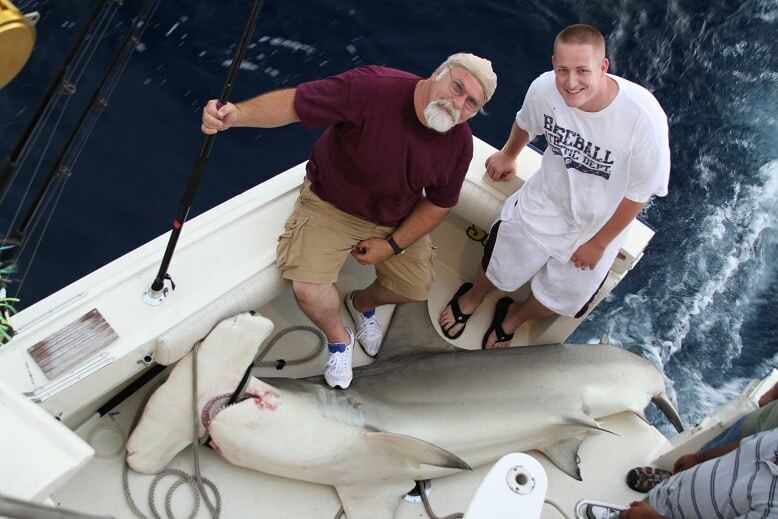 In March, sharks are king. 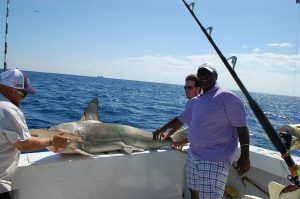 During Shark season in Fort Lauderdale, we fish both dead and live baits. 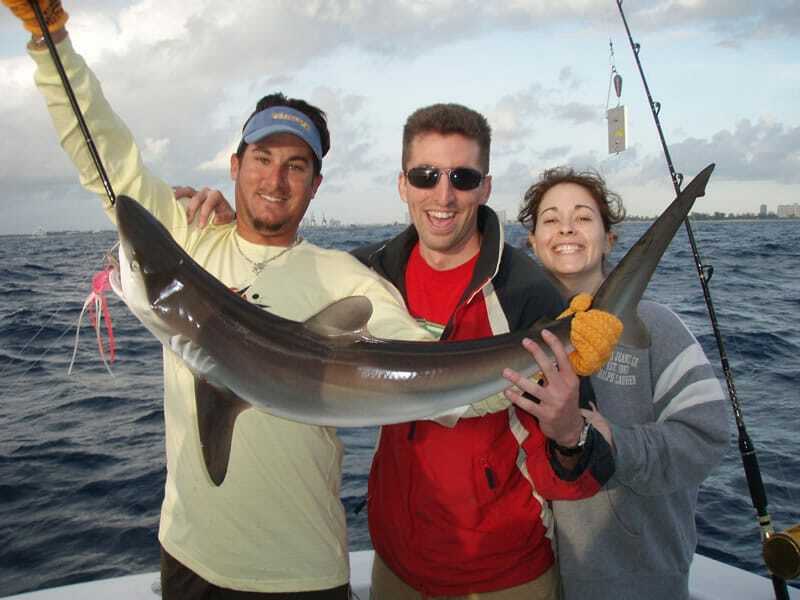 Preferred live baits for Fort Lauderdale shark fishing consists of blue runners and big silver mullet. 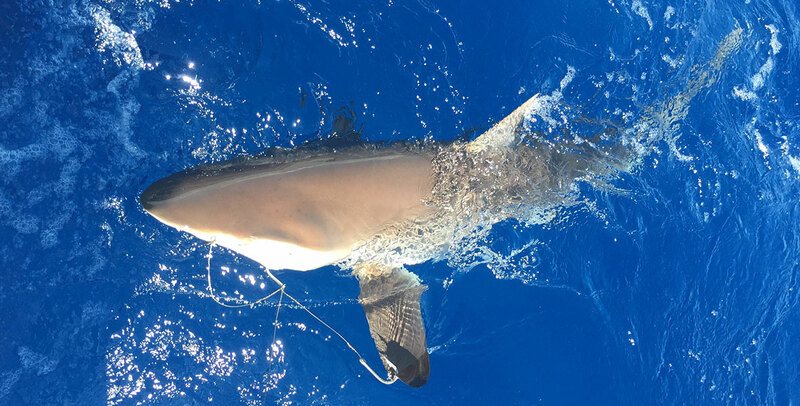 Throw out a tasty, bloody bonito or an oily kingfish head and it really turns them on. 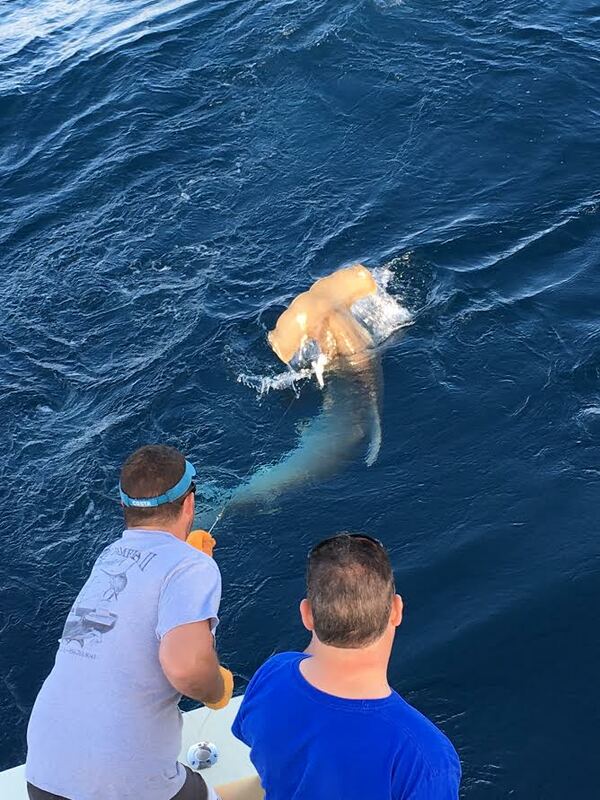 Bolt to the drop-off, about a mile offshore and it’s a win-win situation. You’ve got a pretty good chance of fighting a giant Hammerhead Shark, Thresher Shark, or any of those prehistoric predators for an extended fight. You won’t be disappointed.